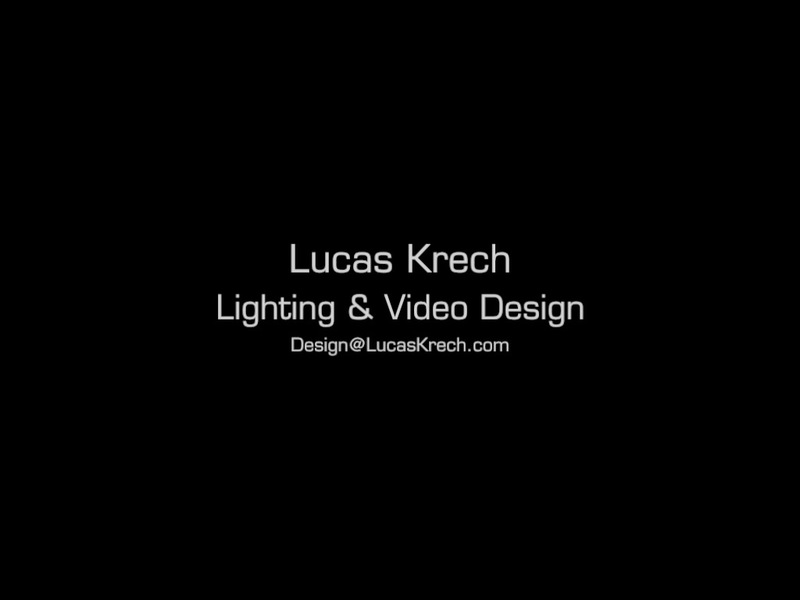 Lucas is a New York City based Lighting & Video artist who has designed over 300 operas, dances, plays, and performance pieces across the United States and in Europe. Installation, lighting, and video art has been shown at Black Rock City, SOMArts, Studio Gracia, and others. Winner of the 2011 “Best Lighting Design – Local” at Broadway World, San Francisco for his lighting of “Care of Trees” with Shotgun Players. Multiple BATCC award nominations for Lighting Design. Nominated for NYIT Award for Lighting Design. Recipient of a 2011 Lighting Artist in Dance grant from the Dancer’s Group for collaboration on new choreography with Avy K productions. His designs for “Of the Earth” with The Shotgun Players was featured in the September 2011 edition of “American Theater” magazine. He has been a guest artist at Williams College, USF and UC Berkeley. His opera work includes West Edge Opera, Opera Santa Barbara, West Bay Opera, First Look Sonoma, Berkeley Opera, Yale Arts and Ideas Festival, the Crucible, and more. Collaborators include Mark Streshinsky, Jose-Maria Condemi, Ragnar Conde, Elkhanah Pulitzer, Roy Rallo, Keturah Stickann, and others. Dance Collaborators include Nicolo Fonte, Matthew Neenan, Amy Seiwert, Adam Houghland, Johannes Weiland, Gemze De Lappe, Donald Mahler, Sallie Wilson, Paul Sutherland, Viktor Kabaniaev, Erika Tsimbrovsky, Trebien Pollard, Anandha Ray, David Brick, and others. He has designed Off-Broadway (“Sake with the Haiku Geisha”, “The Last Word…”, “Becoming Adele”, “Fate’s Imagination”) and Regionally (The Magic, Marin Theatre Company, The Barter, Center Rep, and others). As a lighting assistant he worked with Donald Holder, Robert Wierzel, Richard Foreman, and Scott Zielinski. In addition to two seasons as staff assistant at the San Francisco Opera, assisting all season designers, he worked regionally at Glimmerglass Opera, Virginia Opera, and Chicago Opera Theater. His writing on design aesthetics and performance has been featured in The Brooklyn Rail, Parabasis Blog, On Stage Lighting, PLSN, and Stage Directions Magazine. MFA from New York University.